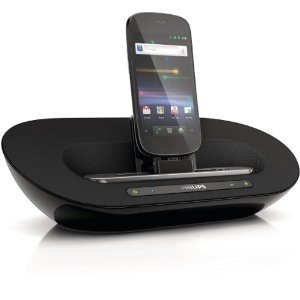 If you're in the market for an Android speaker dock for your phone, then you'll want to pay attention right about now. The Philips AS351, the little brother of the AS851 that we reviewed and loved a few months ago, is currently available for $95 on Amazon with a $20 coupon that takes the price down to just $75. That's over 40% off the list price of $129.99. Like its more expensive counterpart, the AS351 comes with Bluetooth functionality built-in which allows you to listen to your music without having to physically dock your phone, although there's no remote control with this model so you'll have to change any volume settings on the unit itself. The AS351 is a little less powerful than the AS851, outputting just 10 watts compared to 30 watts, and hardware digital sound processing is also limited to the more expensive model. Despite this, it's still a great offer at $75, and unlike the AS851, you can run this model on AA batteries which makes it much easier to move outside if you're having a garden party or want to take it with you on-the-go. 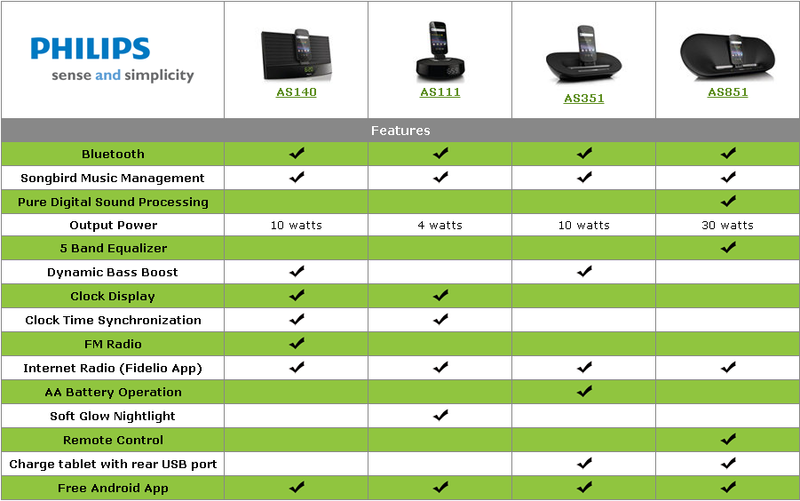 If you want more information, you can view all of the features that the AS351 carries in the table below. If you're tempted by the speakers then you should act quickly, as Amazon coupons tend to come and go at their own will.